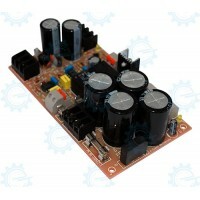 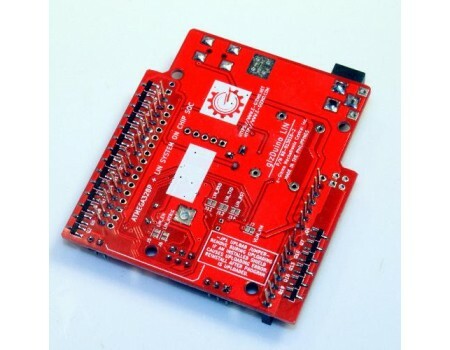 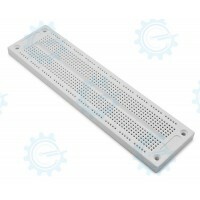 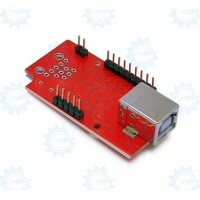 gizDuino LIN is the latest of our ever growing Arduino compatible controller platform. 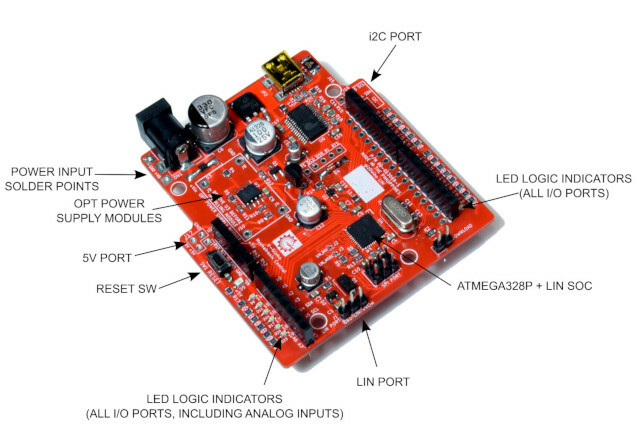 It uses the same micro controller as the Arduino Uno R3 (ATMEGA328P + LIN SOC), and is 100% code compatible with the popular Arduino Uno board. 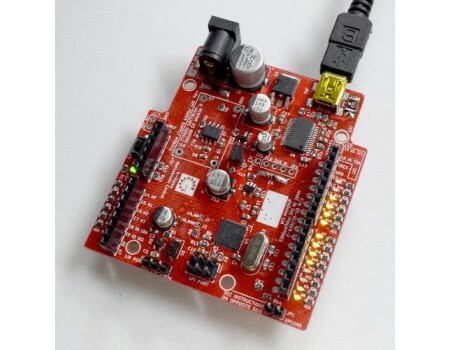 LIN (Local Interconnect Network) is a robust hardware and software serial network used to connect and communicate with automotive components. 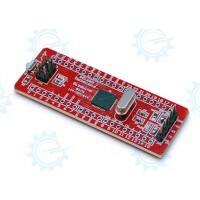 The gizDuino LIN is ready to connect with and control these devices. 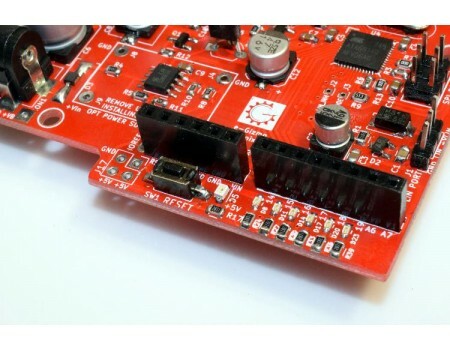 Buffered LED Indicators on All I/O Ports - You'll know if any of the port is in HIGH or LOW state, somewhere in between, or pulsing. 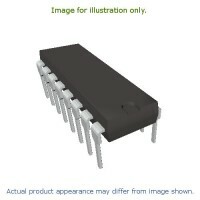 It's like having a logic probe permanently installed on each I/O. 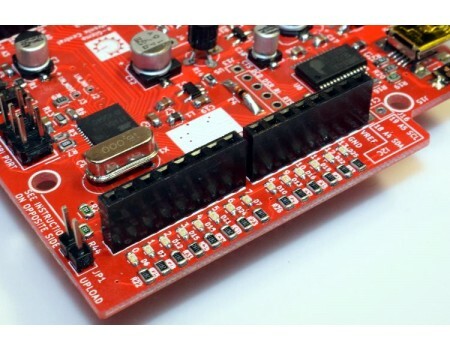 This will make troubleshooting and hardware debugging a lot easier. 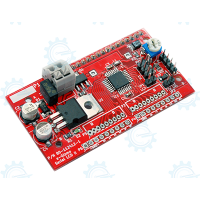 Our new gizDuino Internet-Of-Things (IOT)-644 an Arduino Compatible platform with on-board 100MBps Ethernet for your IOT project. 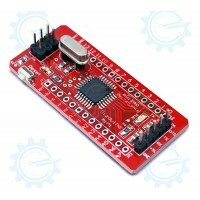 Double memory capaci..
gizDuino LIN-UNO is a jazzed-up version of the popular Arduino UNO, and are 100% code compatible. 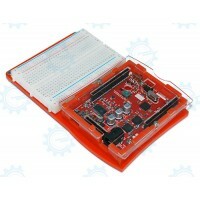 Starter Kit is your most suitable for Basic Learning.. 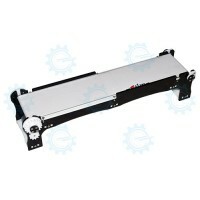 Entry Level Mobile robot chassis disassembled Specifications : Power Input (Motors) 6VDC Weight: 0.5 KG Dimensions: Lengt..